India has highways broadening across 3.314 million kilometers, making it the 3rd biggest road network around the globe. The highway is full of trucks carrying consignments as well as the commuters who travel from one part of the country to another. One common cord between all of them is the need for food & rest while traveling on the road. 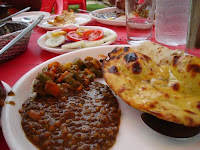 The highway dhaba satisfy the appetite of all those who traverse on the highway. The Dhabas range along the Indian Highways from the extreme stretches of the North, to the warm coasts of the South. Small and Large Dhabas have sprung up along the highways, providing cheap & tasty traditional Indian food. They offer the best choices when it comes to lip-smacking variety of Indian culinary delights. For truck drivers, it is the resting place which serves enjoyable Indian food in addition to the cozy air on ethnic bamboo-cots. Be it breakfast, lunch or dinner, the entire meal is available almost 24 hours. 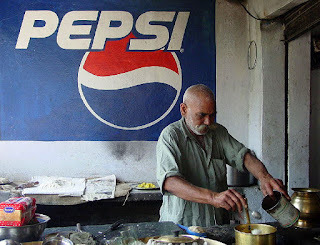 They serve from chief Punjabi meals to Chinese food items. In addition to the development of highways, the authorities are working towards the progress of highway Dhabas to increase the cleanliness and hygiene to make them more satisfactory. I enjoy this commentary. Thanks for allowing it leading in its own spot. I get uneasy when I see angry righteous mobs hurrying to open bags of feathers and burbly the tar. So frequently we read only a small part of the write up and instead we let wrath do the thinking for us.